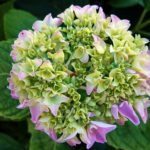 I have a hydrangea that is not yet blooming, and I would like to transplant it. What is the best time of year to do so? Thank You.